Topic: Recommended Concert Blu Rays? 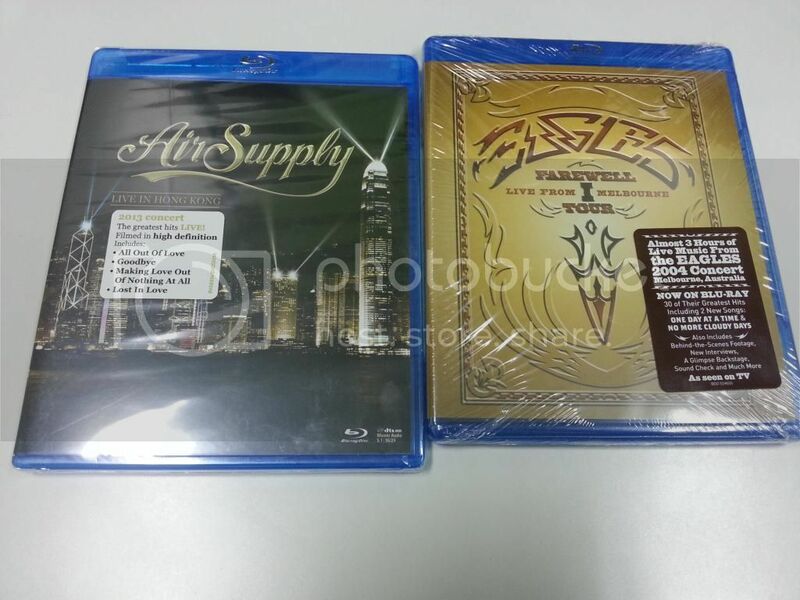 Re: Recommended Concert Blu Rays? 1. "Tuck & Patti Live in Holland" one of the most entertaining concerts I have watched specially if you are an acoustic music lover. I only have it in DvD. Any information if this is available in Blu-ray Disc? One concert worth investing on Blu-ray. 2. Katherine Jenkins in "Believe - Live From The O2"  - Katherine Jenkins looks like a Hollywood Star with an Operatic Voice. Impressive production specially the last Song. Very Entertaining. WoW! 3. Jackie Evancho: "Music of the Movies" : - Powerful yet Angelic Voice. A nice test on how well our system can perform. Awe inspiring! Worth the purchase. The film of the record-breaking tour will be released on Bu-ray by Eagle Vision on September 15, complete with bonus content as well as a live album featuring 22 songs from the Rebel Heart Tour. Eagle Rock Entertainment has officially announced that it will release on Blu-ray Sting: Live at The Olympia Paris. The release will be available for purchase on November 10. Sting: Live At The Olympia Paris captures the musician's critically-acclaimed guitar-driven rock tour as it hit the French capital for a very special performance at the iconic venue in April, 2017. Hailed "the show of a lifetime" (The Vancouver Globe & Mail), Live At The Olympia Paris celebrates highlights from across the 16-time Grammy® Award winner's illustrious career, with blistering performances of new songs from his latest album 57th & 9th including the infectious first single,"I Can't Stop Thinking About You", and the anthemic "50,000", alongside classic hits from The Police as well as Sting's solo career. Sting: Live At The Olympia Paris showcases the wide range of his eclectic style and songwriting influences in one momentous live show. Eagle Rock Entertainment has officially announced that it will release on Blu-ray Joni Mitchell: Both Sides Now - Live at The Isle of Wight Festival 1970. The release will be available for purchase on September 14. Eagle Rock Entertainment has officially announced that it will release Evanescence: Synthesis Live on Blu-Ray/CD. The release will be available for purchase on October 12. The MVD Entertainment Group and Cleopatra Entertainment have have officially announced the upcoming Blu-ray/2CD release of Sheryl Crow: Live at the Capitol Theatre, which will be available for purchase online and in stores across the nation on November 9. The critically acclaimed, three times extended, Broadway phenomenon makes its global debut on Netflix - December 16, 2018.